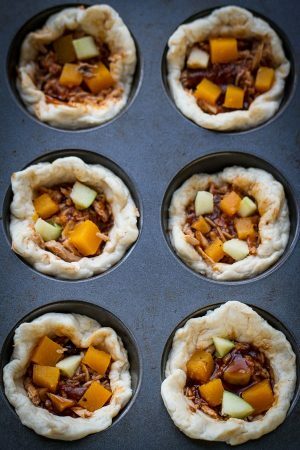 Mini puff pastry dough pot pies filled with roasted butternut squash, sweet apple chunks and and tender slow cooker pulled pork infused with the sweet and spicy combo of maple syrup, sriracha and hoisin sauce. Add 1 teaspoon of olive oil and saute garlic and onions for about 3 minutes. 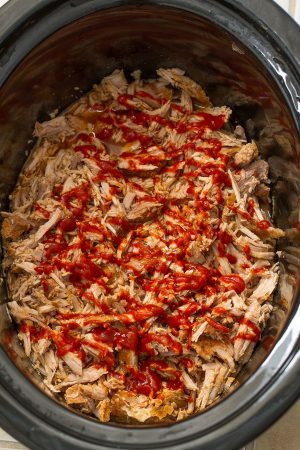 Reduce heat to medium-low and add the maple syrup, Sriracha, hoisin, soy sauce, tomato paste, apple cider vinegar, orange juice & brown sugar and cook for about 5 minutes.spoon sauce over all sides over the pork. 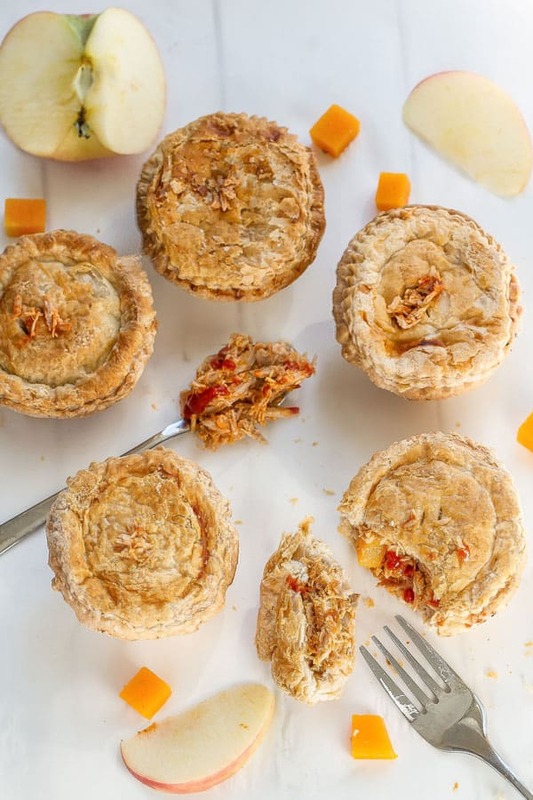 Divide puff pastry square into muffin tins. Keep remaining pastry covered and chilled. Spoon about 1/4 cup pork mixture into each biscuit cup. 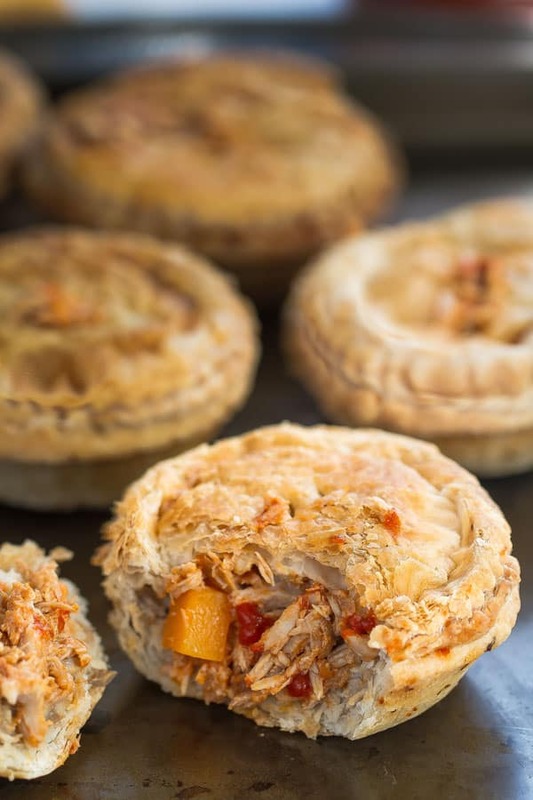 Top with a few pieces of butternut squash & apple chunks. 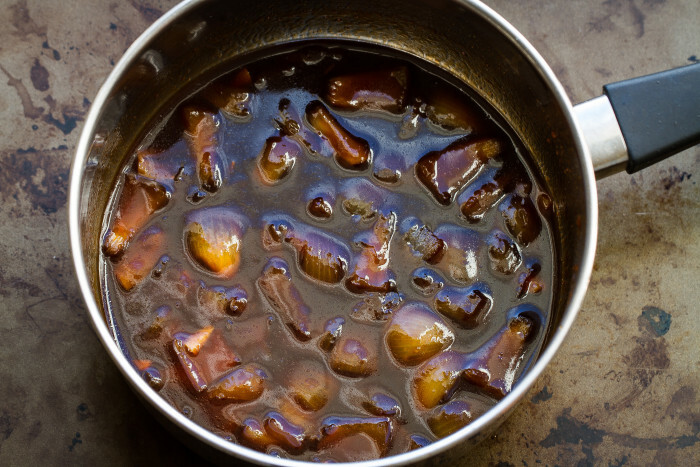 Drizzle with another 1 tablespoon of sauce over filling. Top with another puff pastry square and pinch the sides of the pastry together. 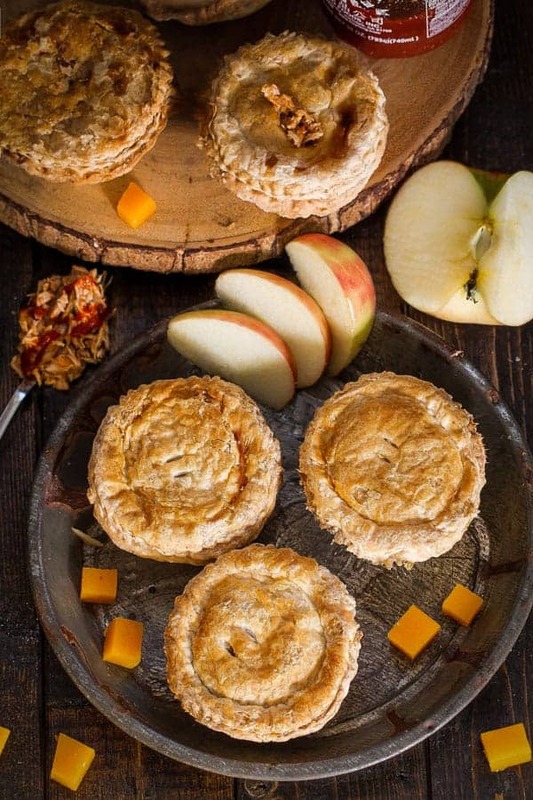 Cut two slits at the top of the pies and brush with egg wash. Place entire muffin tray in fridge for at least an hour or overnight.